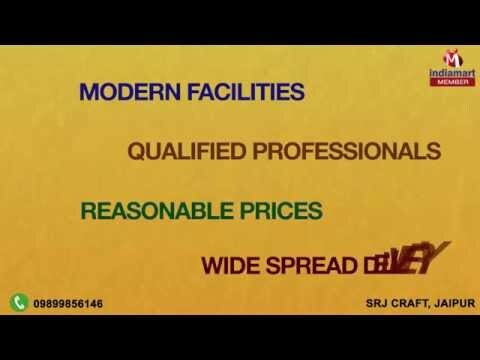 Welcome to SRJ Craft, established in the year 2009, we are involved in manufacturing, supplying and exporting a vast assortment of Furniture and Handicraft Items. he product range presented by us includes Iron Wood Nesting Table set, Wooden Table and Metal Table and many more. Offered products are designed and manufactured with utmost precision by utilizing optimum grade basic material given by the trusted and certified suppliers of the industry. Apart from this, we are offering these products in various specifications to choose from. We have recruited highly experienced and diligent professionals for having trouble-free and productive execution of all the business related activities. Our research associates keep themselves aware with the improvements in the field of technology and recommend important changes to the manufacturing team. Due to the quality of offered array and customer centric approach, we have cater a vast client for ourselves across the globe. We export our products in USA, Canada, U.K., Australia and South Africa.